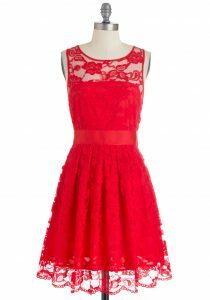 Make your first prom night with the love of your life a memorable and eventful one by opting for the best outfit to look your best. 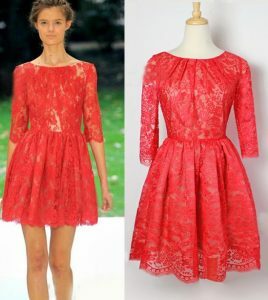 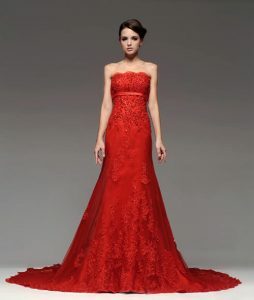 If you are on the fairer side, a red long, full-sleeved or sleeveless mermaid – cut lace prom dress will be an ideal pick. 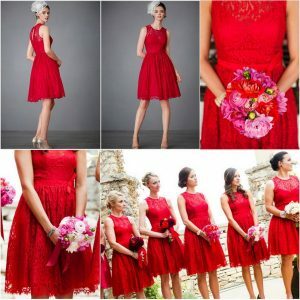 You may leave your tresses down, decorating them with fresh red flowers or tie it into a neat bun. 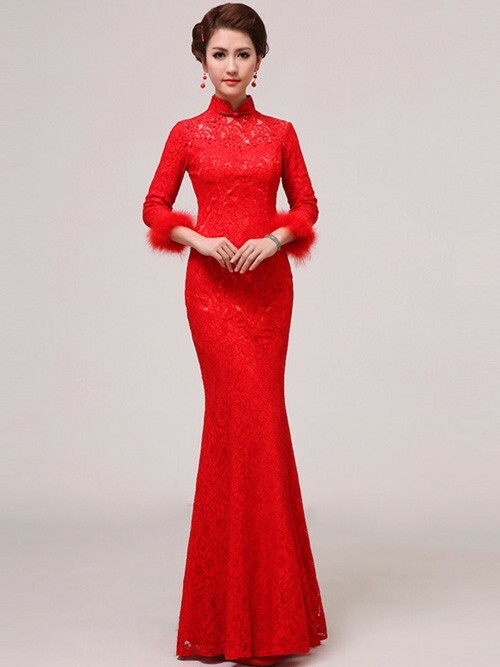 Choose a showy dangler along with crystal neckpiece of the same color. Red or silver high heels will go well with your getup. 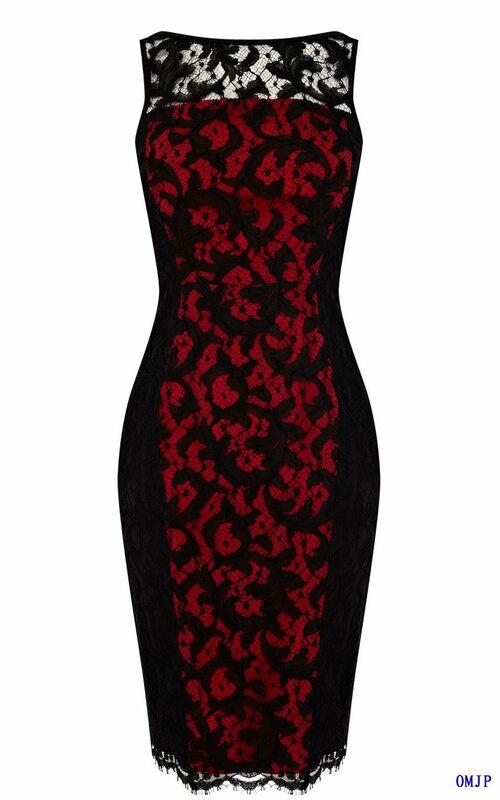 Rock the cocktail night in a short, full-sleeved or strapless red dress with a plunging neckline. 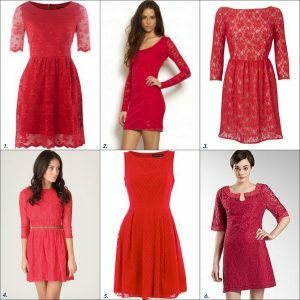 Matching heels or black half boots will complement your short red dress well. 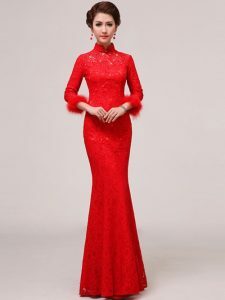 If red is the theme color of your wedding, then a long, flowing red, laced gown coupled with gorgeous accessories are aptly suited to the occasion. 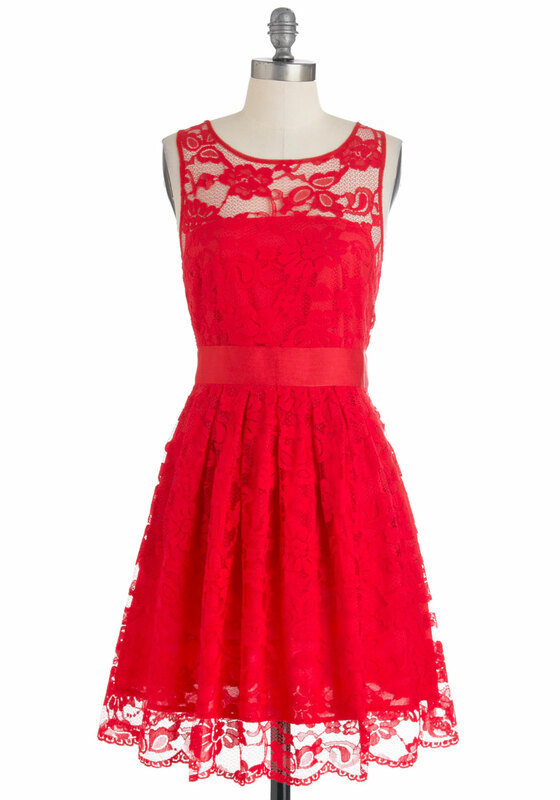 Opt for red lace sleeveless frocks for your bridesmaid to make them look pretty and charming.